Love coffee? Then you must dig into this promo from McDonalds. I got this totally cool coupon from them which entitles me to a free 8 oz McCafe Premium Roast Coffee. 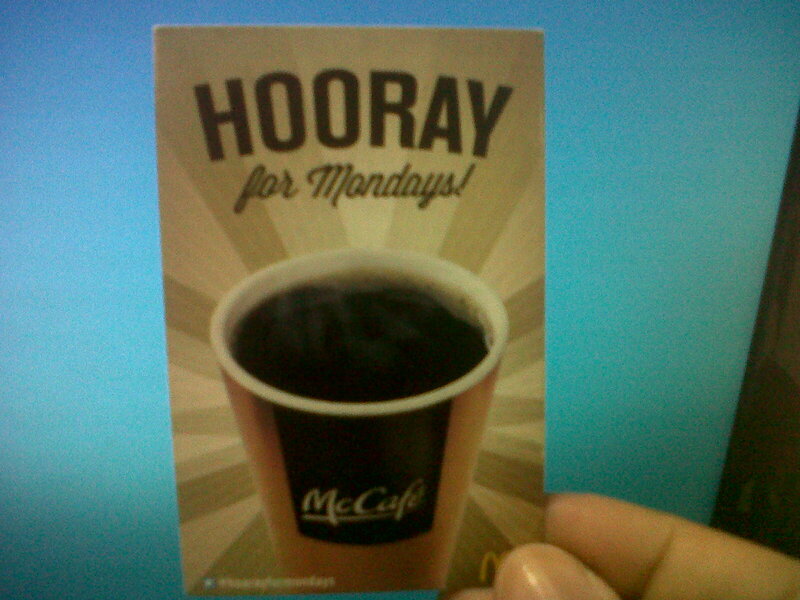 This is valid from 4:00 AM to 10:30 AM only every Monday of January-February (January 7, 14, 21, 28 and February 4, 11, 18, 25). No initial purchase is required and only one 8 oz. McCafe Premium Roast Coffee can be claimed per coupon. This is not valid for deliveries though. One can only avail this promo through dine-in, take out, and drive thru. 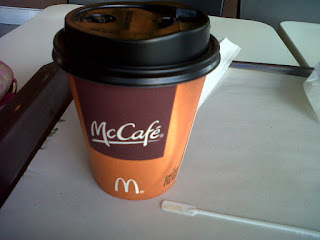 Free coffee is non-refillable and may not be exchanged to cash or any McDonald's products.